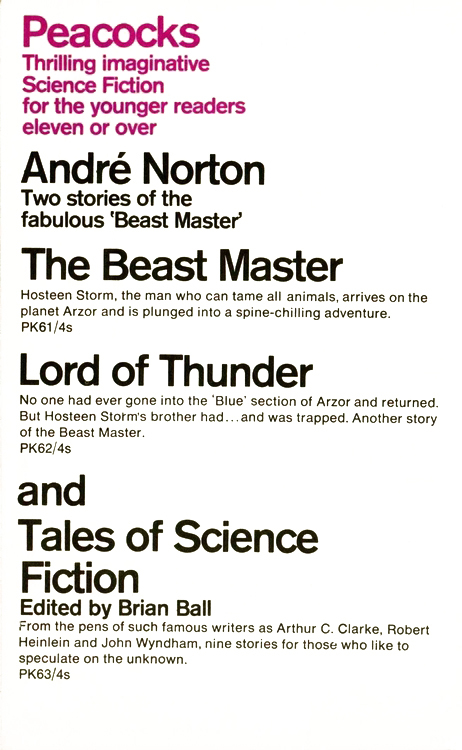 The absence of an sf banner or logo label on the Richard Hollis covers in 1968 was presumably what prompted Penguin to release an eight-page booklet promoting the new titles. 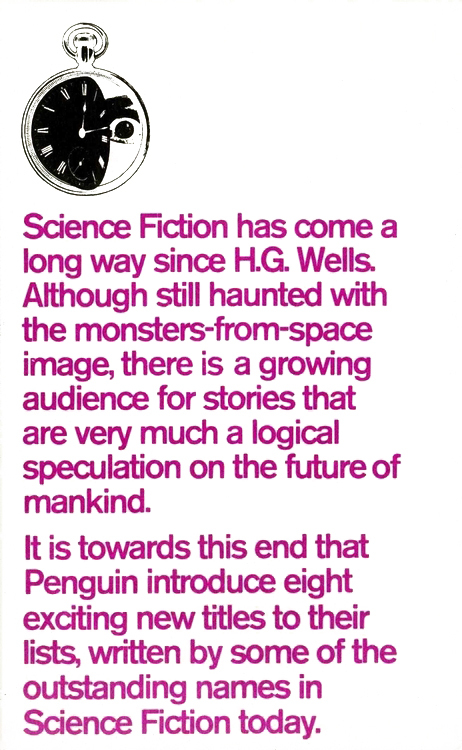 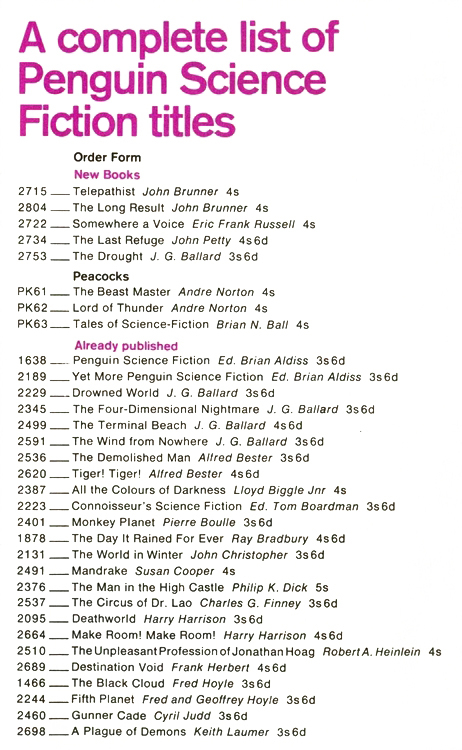 The booklet also contained 'a complete list of Penguin Science Fiction titles' in print at the time, although the omission from this list of at least two books, The Hugo Winners and More Penguin Science Fiction, was symptomatic of the unsettled period that Penguin was going through following the departure of Tony Godwin and Alan Aldridge. 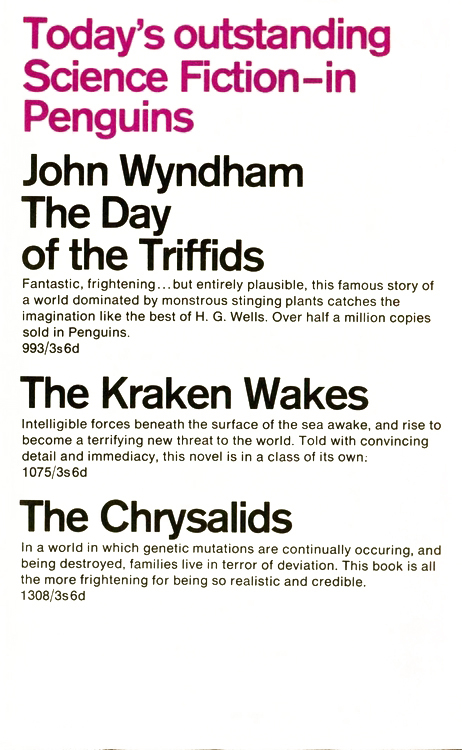 The Take Time Out booklet also announced three sf titles in Peacock Books, a separate imprint for 'younger readers eleven or over' that sought to fill the gap between the Penguin and Puffin lists. 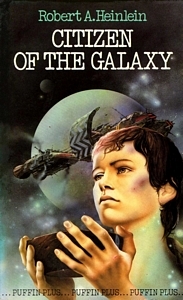 The imprint had been created by Kaye Webb following her appointment as Puffin editor in 1962 but this was the first time it had ventured into sf, and unlike the five new Penguin titles the Peacocks were clearly identified as sf on their covers. 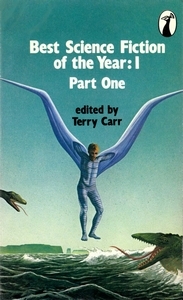 An anthology of nine short stories, first published in 1964. 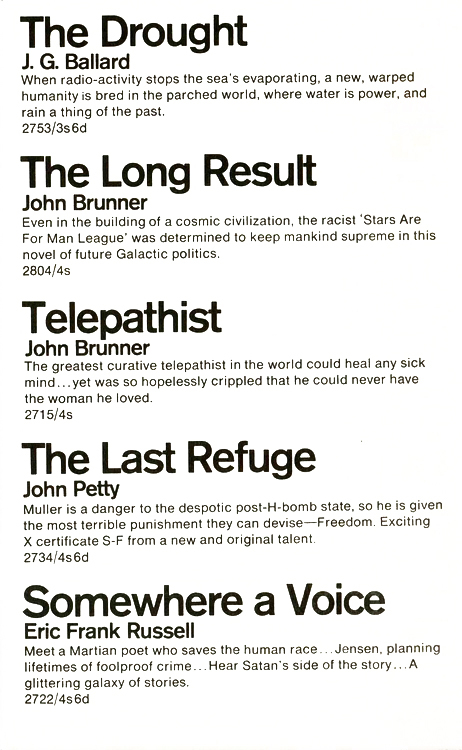 Peter Barrett using photographs supplied by the United States Information Service. 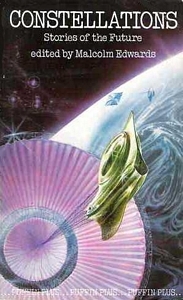 • Brian Aldiss : But Who Can Replace a Man? 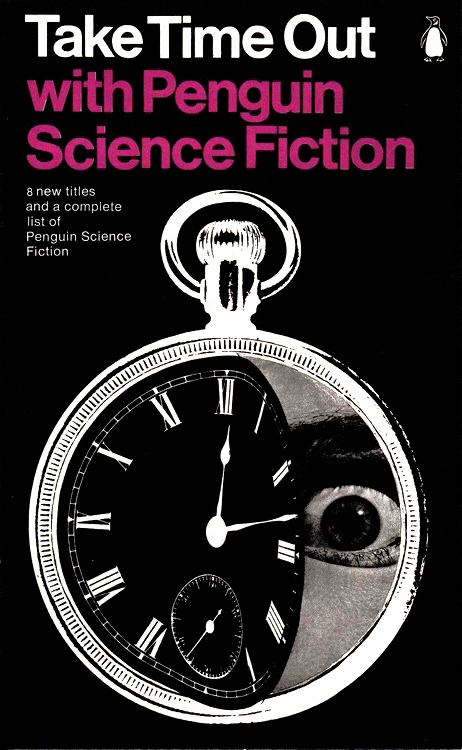 Two more sf titles appeared as Peacocks over the next decade along with a two-volume Best Science Fiction of the Year while the Peacock logo was redesigned and placed in a white Penguin-style roundel. 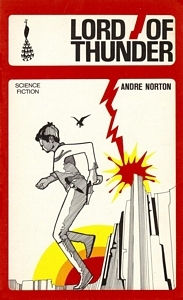 First published September–December 1957 as a four-part serial in Astounding magazine. 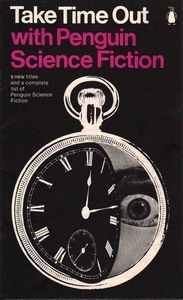 First published October 1958–February 1959 as Time Killer, a four-part serial in Galaxy magazine. 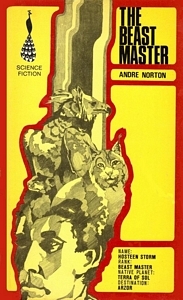 Part one of an anthology of twelve short stories which were first published in 1976 as The Best Science Fiction of the Year #5. 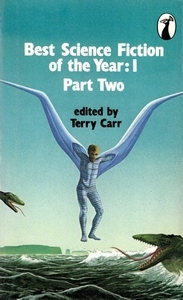 Part two of an anthology of twelve short stories which were first published in 1976 as The Best Science Fiction of the Year #5. 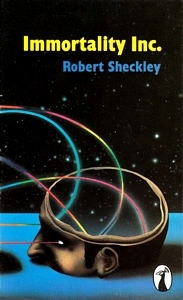 Webb retired in 1979 and the Peacock imprint was discontinued. 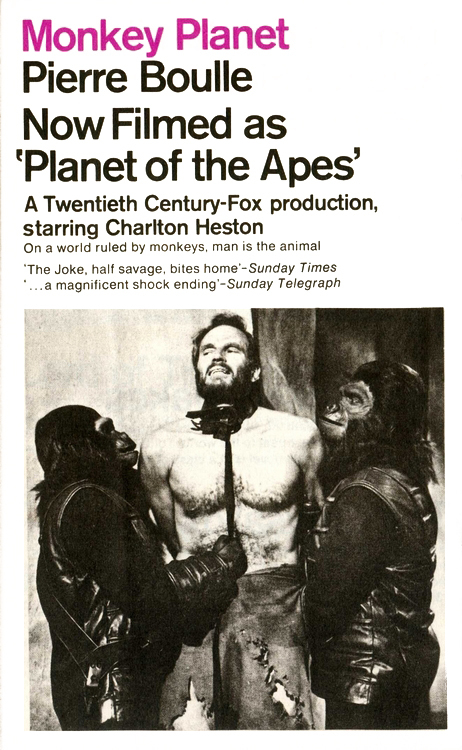 Two years later it was relaunched as Puffin Plus under Webb's successor Tony Lacey. 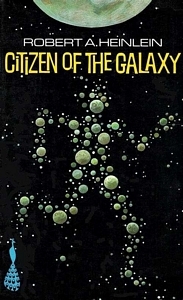 A typewriter font was used for the series name, which ran across the foot of the cover like ticker-tape, with the two sf titles that joined the series – Constellations (which was published simultaneously in the main Penguin list) and a reprint of Heinlein's Citizen of the Galaxy – retaining the font for their other typography. 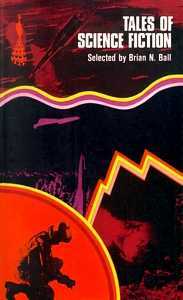 An anthology of twelve short stories, first published in 1980. 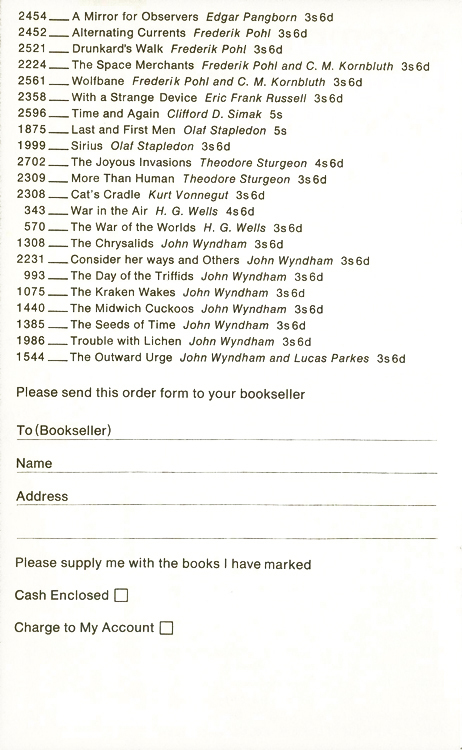 • Garry Kilworth : Let's go to Golgotha! 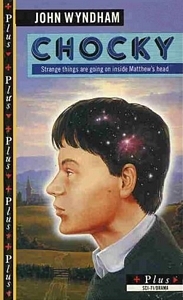 In 1988 the series moved from Puffin to Penguin and was launched again as Plus, with the name repeated on a black and yellow stripe down the left side of the front cover.